In 2018 alone, the gaming industry generated just shy of $135 Billion (That’s ~10% more than it did in 2017). Thanks to the rise of mobile games, more younger-generation friendly game engines, easily mod-able game worlds, and an extremely excited audience, these numbers are only going to continue rising. At Melon Development, one of our goals is to make getting in to this constantly growing industry as easy as possible. We provide game services across 2 industry leading open world games, and a platform with record breaking sales year over year. Our transparent pricing and years of experience in the gaming community will make getting you involved a snap. With every position always filled. Much more goes into producing a game that many don’t consider. That’s why we cover all the bases with our experienced in-house team and a network of vendors. We see your project through from plan to release - assisting every step of the way. All you have to do is dream the impossible, and watch as we make it happen. 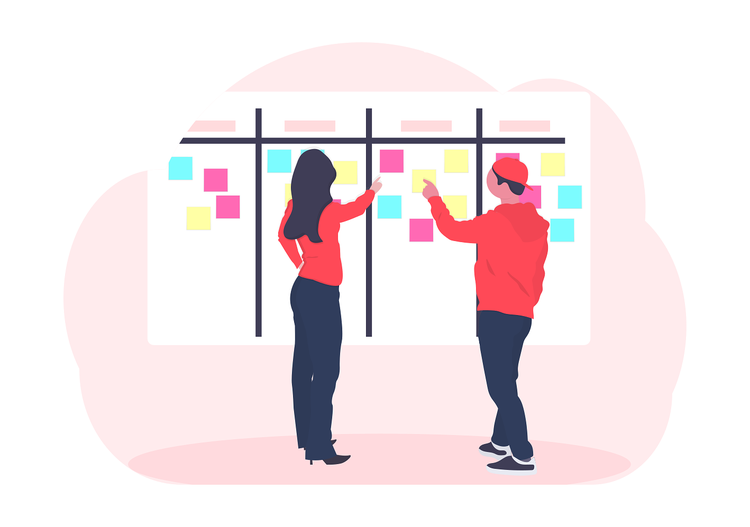 Project Managers stay involved at every stage of your game, ensuring that tasks are completed when they’re supposed to be and no assignment goes missed. Gone are the days of “Was that finished?” and “Who’s working on that?”. Sit back, relax, and let us take care of everything. All in-house developers undergo an extensive interview process to ensure we only provide top of the line quality. Developers work to the spec of your documentation down to the very last detail and perform rigorous testing on all deployments. Our company backend ensures that code reviews happen regularly and common mistakes never make it to production. Your ROI (Return on Investment) will always be one of your biggest concerns, and we have you covered there too. Our team members will help walk you through strategies that fit your game perfectly to ensure your players will become repeat and regular customers. Monetization planning starts about half way through the production of your game. We can even help out with getting you on-boarded with some of the biggest players in payment processing, if you need it. Audio engineers will create you sounds and music that players will love to hear and give you an instantly recognizable sound effect. So many other companies significantly undervalue the positive feelings players associate with a well made soundtrack. Best of all, because they’re made just for you, your YouTube and Twitch creators that come play and help promote your game will never have to worry about copyright. Our world architects and map developers will ensure your game world feels immersive, enjoyable, and fun to play in. Our team has years of experience building amazing looking worlds in timelines that the competition can only dream of. Fantasy castle with a racetrack moving throughout? Sure. Realistic pirate ship that you need to escape before it sinks? Absolutely. When your game demands 3D rendering, we have that too. Our modelers can create and animate just about anything that you can think of, and they’ll collaborate with our development and world architecture teams to ensure that every single asset is the perfect fit for your game world. The most daunting task for anybody wanting to get into the game creation space, and the biggest pain point that we take over for you. Our talented game designers will move your ideas from pen to paper and figure out all the specific details that you may not have considered. How much XP to reach Level 8? How often can the Zombie Boss revive his minions? How much should that pickaxe cost to buy? Your detailed documentation is sent to development and world architecture to ensure every detail is realized. QA will review the end result to ensure it matches your spec perfectly. Through our years of experience, Melon Development has formed many valuable partnerships along the way. We leverage these partnerships and connections to form our internal Vendor Network. If we do not have an internal team member available to service your request, we can have it completed still at rates far below the industry standard. Flexible packages for every service. Pick and choose the exact services you need without any long term commitment. Starts at $70/hr. Thanks for your interest. We’ll get back to you within 2 business days. Whether you’re starting a brand new project or want us to take over an existing one — you want our help with everything. Starts at $55/hr. Thanks for the interest. We’ll get back to you within 2 business days. You have your own team, but you want us to step in and assist with a few things when you need the extra help. Our portfolio and previous work is available upon request. Have a quick question? Chat with us now.